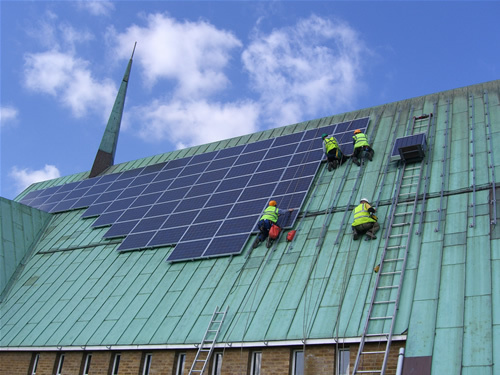 Solstice Energy was established in 2003, and since then has developed an impressive list of high quality solar PV installations. After starting out with mainly domestic and community projects, these days approximately 90% of the work we do is repeat custom for construction and M&E companies who value our no-nonsense and positive approach. We pride ourselves on sticking to agreed timescales and prices, and finding solutions to what may look like a difficult situation. We are certified under the Micro-generation Certification Scheme, and are approved electrical contractors with the NICEIC, and so able to self-certify and notify building control under Part P regulations. 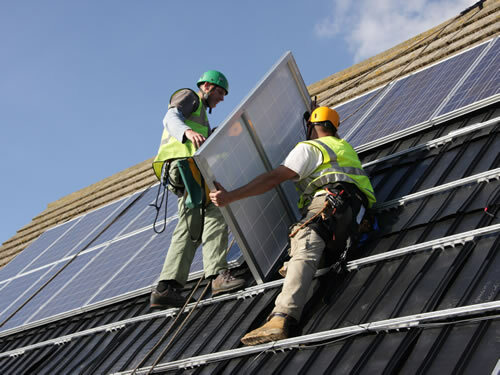 Solstice Energy abides by the Renewable Energy Consumer Code which assures a high standard of service before, during and after a contract is agreed. We offer a standard 5 year workmanship guarantee, and our domestic customers have added peace of mind with an insurance backed warranty through QANW. We work to our own comprehensive Health & Safety policy (available on request) and on-going training regime. 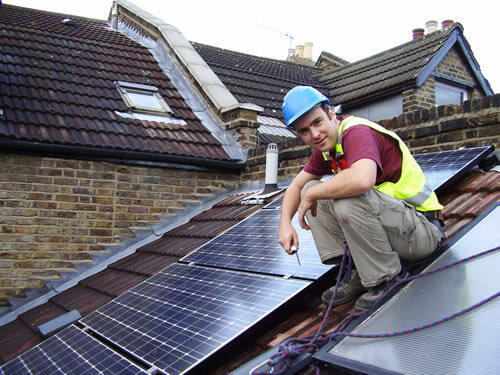 Our customers can rest assured that work will be designed and installed with safety and quality paramount. We are members of Safe Contractors scheme. 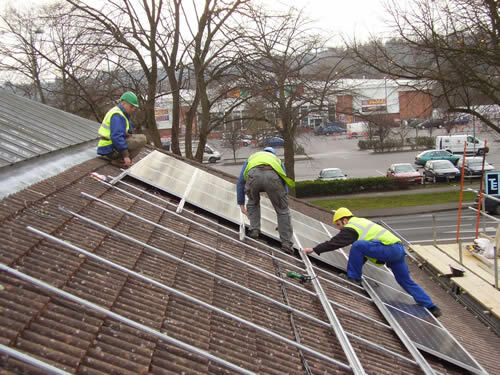 Solstice Energy are not tied to any one supplier or brand, and are able to supply and install any equipment that is accredited for use in the UK. 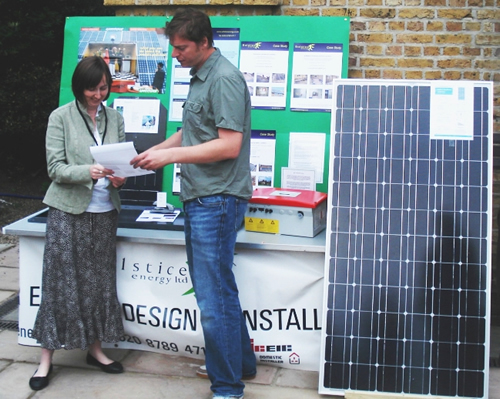 Our design team will recommend modules and inverters to suit each situation, but can just as easily work to specification. As keen innovators, we are proud to be able to offer our lead roll clamp. We don't offer this for sale outside our own installations, but don't believe in sitting on a good idea either. The design is copyrighted under an open GNU Licence, and we are happy to pass over cad drawings and BRE test reports on request. We offer no product guarantees, and it is a condition of use that we be notified of all modifications and improvements.